The NBMBAA® Leadership & Partnership Development teams visited Detroit to lay the groundwork for the 40th Annual Conference & Exposition. 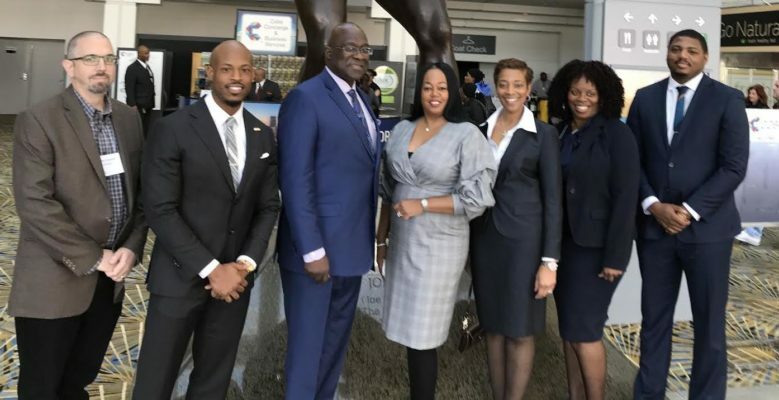 During the two-day visit, the teams met with corporate partners which include many Fortune 500 companies to get a first look at NBMBAA® 2018 partnership opportunities, customize annual partnerships with NBMBAA®, tour the Annual Conference & Exposition venues, and network with fellow corporate peers. This year’s theme is – One Voice. One Mission. Determined. Empowered. Tenacious. Respected. Objective. Inspirational. Trusted. 2018 marks the 40th anniversary of the NBMBAA® conference which started in the “Motor City”. Since inception of the NBMBAA®, our “one mission” rings true, to promote educational and economic empowerment for black Americans. Our commitment to exploring best practices in leadership and career focused programming has been the inspirational catalyst that has guided members and conference attendees to reach their full potential. Bringing our conference back to Detroit is symbolic of our shared resilience and determination. Our conference agenda resonates the input from the “one voice” of our members where we leverage the resources and talents of our trusted business partners to achieve our main objective of educating and developing determined, empowered, tenacious, respected, objective, trusted and inspirational leaders! You can trust that the 2018 NBMBAA® Conference and Exposition in the “Come Back City” will be the most memorable one yet.